Today, when you order "Penguin Magic Monthly: May 2018", you'll instantly be emailed a Penguin Magic gift certificate. You can spend it on anything you like at Penguin, just like cash. Just complete your order as normal, and within seconds you'll get an email with your gift certificate. One of the best magic publications available today. 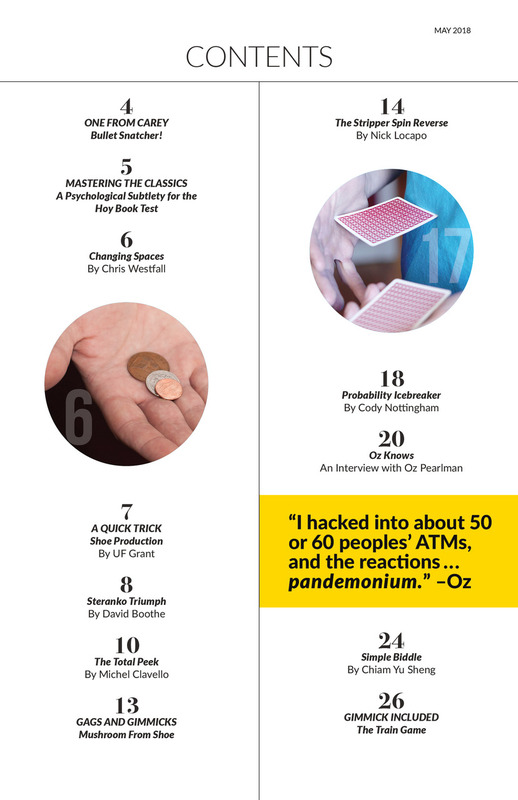 The may issue had only 14 pages (28 front and back) in a glossy small 5.5 X 8.5 inch format. Had a few tricks and routines explained along with a card for a trick. Production quality and printing was excellent. Got it free with my order. The cost if to buy is too high. I suggest following IBM and SAM magazines format and have supplier ads so you can put more content and maybe even make it free. No need to make it so glossy and upmarket. The receiver is interested in knowledge not material of the magazine. I'm a gambler and card mechanic who loves magic....but I can't say I'm the kind of guy who is always looking for a new card trick. 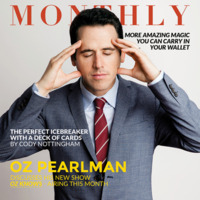 Then along came Cody Nottingham's "Probability Ice Breaker" in this months Penguin Magic Monthly. I'm so glad I stumbled across this great trick. The first time I performed it, I was at a table and quickly culled the cards needed for the trick, then did a series of false shuffles. I asked my friend to name any number between 1 and 10 and she said, 5...no wait, I mean 8. This ended up working perfectly. I told her to turn the first card over and it was an 8. A miracle right? But when I told her to lift up the deck to see what card was on bottom and she saw it was a 5...everyone's jaw hit the floor! I doubt this trick will ever pay off quite like that again, but damn...it was worth it just to see the astonishment in their faces. It reminded me why I love magic so much. So....Thanks Cody! Keep em coming! 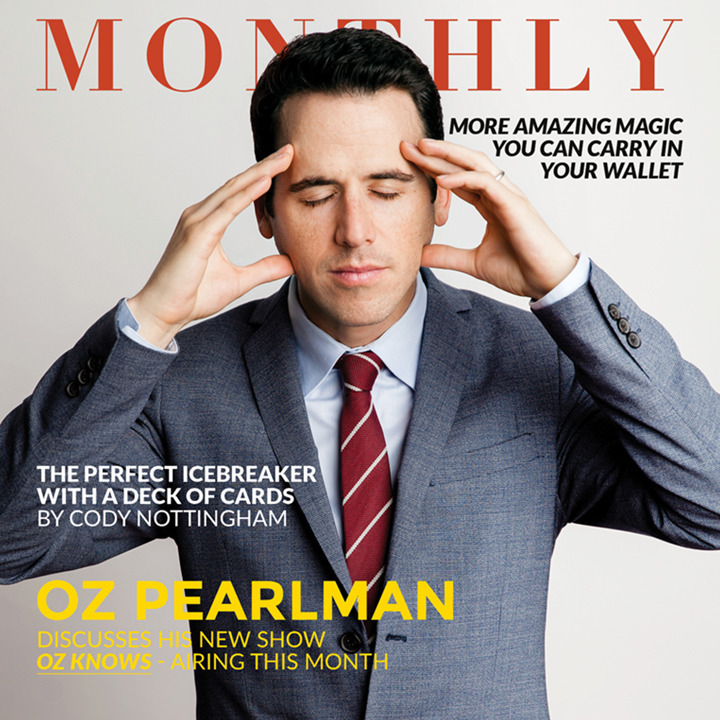 The Penguin Magic Monthly is always top notch. Never have I found it not to enhance my magic skills or knowledge some how. Nor has it not taught me something I did not know trick wise or in the presentation in my magic. This monthly contribution in literature is a real plus to a magicians library.